Remedy Entertainment’s Sam Lake took the stage at Microsoft’s E3 conference and showed us a scene from their upcoming Xbox One exclusive Quantum Break. As a long-time fan of the studio and Sam Lake’s incredible storytelling, I’m more than a little excited for this groundbreaking title to launch alongside its Xbox One television counterpart. 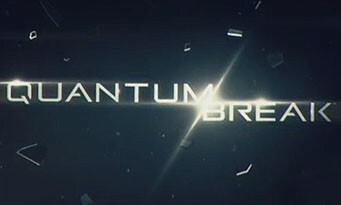 Microsoft has been pushing original content for its Xbox television service, having announced Halo: The Television Series for Xbox One, and it is continuing this trend with the reveal of the Quantum Break television series to accompany the release of the game. I don’t know how I missed this original announcement, but Remedy and Microsoft intend to “blur the line between gaming and TV by integrating drama and gameplay into one seamless, uniquely immersive experience.” The game and show are said to influence each other which suggests a persistent world for Quantum Break. Currently, SyFy’s Defiance is attempting to do what Quantum Break is promising with a television show set in the same world of the recently released MMO. E3 will hopefully shed more light on Microsoft and Remedy’s plans for the future and give us a better look of what to expect when Quantum Break, both the game and the show, release on Xbox One. Update: From Quantum Break‘s official Facebook page: “The actions you take, and the choices you make, shape your experience as the narrative unfolds. As you play, a personalized ‘director’s cut’ of the show is created just for you, based on the decisions you make during the game.” This suggests that players will be presented with episodes of the television show altered to show how their choices have affected the world. So, my Quantum Break television experience might differ greatly from yours depending on how you play the game. This is pretty incredible and ambitious and I’m looking forward to seeing more from this property. When I saw Remedy Entertainment take the stage at Microsoft’s Xbox reveal, I was hoping to hear that they were going to announce the highly anticipated sequel to 2010’s Alan Wake. While it was initially disappointing to see that what they have in the works is not Alan Wake 2, it’s exciting to see that they’re pushing a new IP for this new console. Given that many, myself included, were expecting an Alan Wake reveal, Sam Lake, creative director at Remedy and creator of Alan Wake, prepared a message to us, the fans, to accompany the Alan Wake Humble Bundle. The video explains what exactly is going on and why we won’t be seeing Alan Wake again just yet. It’s an insightful video and a nice gesture from the studio. The success of Alan Wake wasn’t immediate and, as such, it was difficult for things to fall into place for the much desired sequel. Fans and Remedy both want to continue Alan’s journey, but “the time wasn’t right.” Given that Remedy and Microsoft were willing to partner in this new venture and Remedy’s dedication to the Alan Wake IP, I think it’s safe to assume that Alan will be back sometime in the future after a Quantum Break. As a fan of Remedy Entertainment, I’m glad to see that they’re willing to take a risk with something new even if it means waiting to see how Alan Wake’s story pans out. For those of you who have yet to experience Alan’s journey into darkness, Remedy has discounted the Alan Wake games on Xbox Live and has provided a Humble Weekly Bundle. I encourage you to invest in these experiences and support Remedy and the talented folks who have worked hard on these games. I’ve been trying to stay on top of things with the latest on Xbox One news, and it’s been difficult with certain life obligations getting in the way, but I’ve been doing a lot of reading and I’ve seen a lot of opinions on Microsoft’s upcoming console. Positive, negative, neutral. Something that seems to be pretty uniform, though, is the disappointment about the reveal event. “Where were the games? !” Everyone is asking. Well, Microsoft answered that question even before the event took place. The games are at E3. The May 21 reveal was supposed to be about the system itself; they were pretty clear on that from the beginning, and it’s pretty ignorant to complain about the lack of games when they were upfront about what the reveal event would cover. We got an Xbox One reveal–the next generation of Microsoft gaming is within reach. With the hardware reveal taken care of, now we can focus on games in two weeks at E3. Now that I’v got that rant out of the way, what are my thoughts on the system? Well, it’s hard to say. I’m almost positive that I’m going to buy the Xbox One at launch, but will I have the same enthusiastic dedication to this new iteration as I did to past Xboxes? I’m never shy about admitting my fanboyism. I love the Xbox. It has the games I want, the system’s interface is user-friendly and intuitive, the online community is excellent (and when it’s not it’s just a simple button press to forever silence someone), and it works the way I want it to. I’m also not shy about being vocal about my disappointments with the system over the past several years. We’ve been starved for new IPs and exclusives, and we’re drowning in Kinect shovelware. It’s been a pretty rough twilight for the 360, but I’m still a loyal customer. With the Xbox One, it’s a whole new story. They’ve got an internet connection requirement for every 24 hours for the system to operate, is attempting to curb used game sales by requiring a fee for additional user accounts to access a game, has an extended focus on everything not games, and is downright ugly. Some of these things I can live with, but can everybody else? Are the risks Microsoft taking with the Xbox One going to pay off for them, or will this system’s life be cut short due to the restrictions they’re putting on their customers? 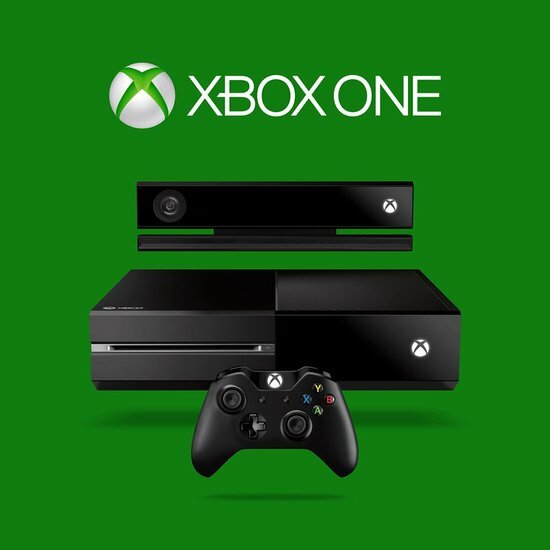 Most of what we’re coming to know about the Xbox One has been expected. We’ve been hearing rumors about an “always-on” system that attempts to block used game sales, but we were all hoping that these rumors would turn out to be unfounded. In our modern time, it’s almost a given that you’ve got an internet connection at home, so what’s the big deal about a system that requires a connection every 24 hours? Well, what if you don’t? I’m not really living in an ideal area for a decent internet connection. I’m not exactly financially stable. How can I be certain that I’ll have an internet connection for the system by the time it releases? I can’t be. I’m primarily a single-player gamer and the fact that I’ll need to have an internet connection to play the games I want to play seems like an unnecessary restriction to force upon gamers. The additional fee does and doesn’t bother me. I don’t buy used games. I refuse to. So, for me, this isn’t a big deal since I’m going to be paying full price anyway. However, I do like borrowing and lending games. From the sounds of things, if you’re not logged into a system, then your buddy isn’t going to be able to access your game. This seems to rule out lending unless you’re going to lend yourself out, too. This is ridiculous. Microsoft said something about incorporating a trading system in the future which will allow gamers to trade their titles with friends over Live, but they said this is something their “working on” and, as such, it’s safe to assume the feature won’t be available at system launch. It would be nice to have a “lend” feature if you do decide to let a friend borrow a game; a feature that disables the game on your account temporarily and activates it on your friend’s account thereby giving him or her access to the game you own. Will it happen? I don’t know. If it did, would it be a completely unnecessary hurdle to jump to enjoy a buddy’s game without having to go out and buy it yourself? Absolutely. Those are the big negatives I have against the system so far. And they’re pretty big. While I might be able to live with them, how will the rest of the gaming world feel about them? My guess is: not very welcoming. I’ve got the feeling that a lot of dedicated Xbox users will be migrating to Sony’s platform if it can promise gamers traditional console experiences without all of these ridiculous restrictions. So, why, with all of that, would I still be willing to buy an Xbox One? Because it’s still going to have the games I want, the service I love, and the controller I find to be the most comfortable (just so you know, I love the controller redesign; it looks sleek and comfy). I’m dedicated to the universe of Halo, I’m looking forward to the next game from Remedy Entertainment because I’m a huge fan of their past creations, I’m dying to see what Crytek has in store with Ryse or if Rare will make a comeback as a AAA game developer (instead of a Kinect pusher working on Avatar clothes). Microsoft promised 15 exclusives in the first year alone, and I’m excited to see what they have in store. I love Xbox Live–it’s an amazing service that is constantly defining what I expect from an online community service. The features they showed off with the fluid app switching and multitasking was impressive and something that I’m sure I’ll use liberally. Sure, one can argue that the Xbox One is basically a controller-operated PC, but is that really a bad thing? As long as the flashy features don’t get in the way of what really matters–the games–then I’m okay with having an all-in-one box. The convenience of it all is something worth having, just as long as I get my games, too. I am questioning the decisions Microsoft has made with the Xbox One, and I’m certainly not pleased with all of them. I’m not embracing the system with the enthusiasm I thought I would as a dedicated fanboy, but I’m still looking forward to having one. The months ahead will really determine if the next Xbox will be my go-to entertainment system or if I’ll be using it sparingly for console exclusives as I migrate to Sony’s PS4. Time will tell and as disappointing as some things seem right now, it’s too early to say for certain just how much of a con all of the restrictions are. In the end, it really comes down to the games. Which system will have the games I want to play? With E3 just over two weeks away, it should be long to find out which system has the larger, more enticing lineup. Unless it’s a misdirection, Remedy Entertainment’s next title will not be the much-desired sequel to 2010’s Alan Wake. While I am disappointed that the studio won’t be continuing the journey into darkness of the troubled writer just yet, it’s exciting to see them working a new property exclusive to Microsoft’s console. Microsoft has been starved for console exclusives and Remedy is an exceptionally talented developer and it’s exciting to see what they have in store for gamers. In today’s reveal of Microsoft’s Xbox One, the software giant promised that they’ve increased funding to studios to bring more exclusives to their platform. With the Xbox 360, exclusives have become few and far between in recent years with most being designed as casual games for Kinect. 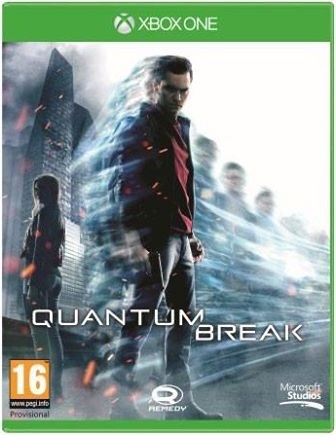 With the reveal of a new game from Remedy Entertainment (Quantum Break), Microsoft has promised that they will release at least 15 Xbox exclusive games in the first year of the system’s life. Remedy’s psychological action thriller Alan Wake has managed to sell over 2 million copies on both Xbox and PC. The game, which debuted on Xbox in May of 2010, has taken just under 3 years to complete this task, but Remedy remains hopeful about the future of the franchise. Being a new IP from a small studio, it’s entirely understandable that sales for Alan Wake weren’t on par with bigger budget games from the powerhouse developers, but it’s proven to be financially and critically successful. News of this sales milestone comes just in time for Microsoft’s next Xbox reveal in just under a month. While Remedy owns the Alan Wake IP, Microsoft is the series publisher and Remedy has stated in the past that the software giant is in charge of the franchise’s future. Remedy has also been teasing a reveal of their latest project for some time now, so I wouldn’t be surprised at all if we see an Alan Wake: Season 2 reveal at Microsoft’s next-gen Xbox reveal or E3.